The other day, we shared some brand-new studies that investigated the neural effects of dance on people diagnosed with Parkinson’s disease. 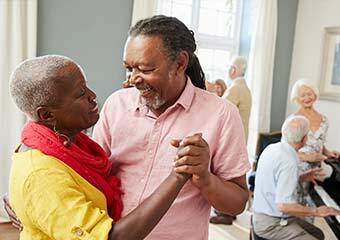 Dance has been shown to improve motor function, cognitive function, mental symptoms, and overall quality of life in people both with and without Parkinson’s disease. These results have been found in scientific studies, but also shared by a number of you in the comments that were left on the last blog. Deb, a child trauma therapist, shared how tap dance has made such a difference in the life of a traumatized young patient. And Virginia, LPCA, highlighted how dance therapy takes advantage of the discovery of the role of mirror neurons in the brain. So what is it about dance that makes it such an effective intervention for neurological disorders such as Parkinson’s disease (and other brain disorders)? Dance develops flexibility and instills confidence. Dance invokes imagery in the service of graceful movement. Dance increases awareness of where all parts of the body are in space. The basis of dance is rhythm. The essence of dance is joy. 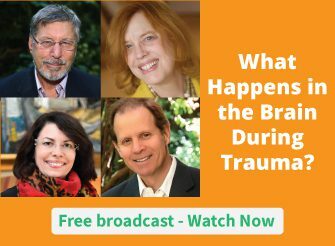 And we’ve created several Brain Science webinar series where we get into practical strategies for connecting the body and brain in order to strengthen resilience, speed healing, and increase happiness. Which of the reasons listed above resonates most with you or in your work with clients? What other strategies have you used with patients that have shown similar benefits? Please leave a comment below. of which do not effect me any more as I continue with great joy to dance. I like how you mentioned that dancing breaks isolation. Living alone in my mid-fifties has caused to be some sort of a social hermit. Getting along with others is not something I’m having issues with although I’d prefer staying in the comfort of my home. This year, I want to reinvent myself by joining a group activity that fosters interaction and cooperation. I think that this is a good way for me to get out of my comfort zone and see what more life has to offer. I’d be sure to consider dancing because the health benefits you shared in your article is definitely well worth the effort. Thanks! This is a surely extensive blog your have here but I had some questions about advertising on your website. So if you could reply to this post with a contact email, that would be stupendous. one of the best system I know, thank you very much . Только в компании “Ваншида-Украина” надежное и качественное оборудование для заготовителей лома. Качество оборудования для переработки металлолома проверено годами. Окупаемость составляет от 6 до 12 месяцев. У нас качественный сервис и наличие запчастей. Мы дорожим отношениями с каждым клиентом. Dance Movement Therapists have been working with helping people for over 5 decades. It is great to see some recognition with science for the effectiveness of this wonderful medium. Very good information. Fortuitous us I stumbled upon your blog by chance (stumbleupon). I’ve rescued as being a favourite pertaining to after!…. I have heard about the benefits of dancing. However, I had never heard about the good it does for your brain. My daughters have been attending dance classes for a short time, and now I’m even happier about it. Woah! I’m really dignigg the template/theme of this site. It’s simple, yet effective. A lot of times it’s very difficult to get that perfect balance between usability and visual appearance. I must say you’ve done a fantastic job with this. In addition, the blog loads very quick for me on Opera. Superb Blog! I did not study at a prestigious dance school as a child; instead I grew up poor in an abusive home in the tiny, mountain town of McCall, Idaho. There was a wonderful, former dancer from The New York Ballet who ran a small dance studio there. Most of the town locals called her a “witch”. I wandered into the studio as a little girl and immediately fell in love with the medium as well as the four “hippy” women who danced there. They were beautiful. As the only child who took classes, I was given free classes. The studio became my refuge and the medium became my voice. I learned how to dance. When I was 18 years old, my family moved to Washington where they found themselves homeless and living in tents. With the help of several scholarships, I got myself to college. I graduated from The Evergreen State College in 1989 with a combined degree in political science and dance. Out of college, I moved to Seattle and began my professional career dancing for local choreographers. I began making dances in 1993, pursuing my artistic goal of “exploring substantive subject matter through the medium of movement.” I choreographed many beautiful pieces of dance like “Habeas Corpus”, a full-length work exploring the history of the body in western culture and “Awaiting Grace”, a piece that grappled with the exciting ideas inside new physics. I made “and…uh” and “Count/Recount”, both piece that addressed time and the power of rational thinking on human experience. I made many shows always loving my medium but hating the politics of dance in the United States. Owning competency in movement is empowering but the cruel culture of professional dance, full of judgement and rejection, literally makes dancers crazy. It leads them into illness and down other roads of unhealthy behaviors. In 2008, I created my last big work. Entitled, “The Exile Project”, this innovative musical theater production took as its subject the complex topic of the growing U.S, prison industrial complex. Audiences loved it, calling it things like: “an incredible performance,” “gripping and entertaining,” and “fresh theater that delights.” Unfortunately, I couldn’t hear those compliments because I was drowning at that point in self-doubt. Fate handed me the challenge of epilepsy at age 34, the foundations of that illness created by childhood abuse. A mentor given to me by the Universe, Epilepsy taught me many great lessons in life, like how to love myself despite rejection. My effort to live with illness and find health again remains the greatest spiritual journey of my life. I spent 2011-2013 writing my first book called “SEIZED – Searching for Health In The United States”. In it I tell my tale of living with chronic illness inside the United States of America. Published in August 2013 by Llumina Press and has received great reviews by readers everywhere. Dancing is good but the world of professional dance can be soooooooo bad. Holly, I completely agree with you, the competitiveness, rejection, self judgement, always having to strive for more and more, you’re never enough is indeed toxic. What a story you had, thank you so so much for sharing it! My father lived to be 101.5 and was active mentally and physically at his 100th birthday parties (there were several). He was a historian and a writer who made his topic (the Labor Movement) accessible to the public. He always claimed that his secret to a long, healthy life was that he danced naked in his bed room every night. He also wrote books, jogged and worked out at a gym until until well into his nineties. I think the combination of mental and physical activity is important to successful aging. Dancing just promotes the best of everything we have in our brains and bodies! There’s nothing better for the soul. I am a retired dance therapist but never a retired dancer as it is so therapeutic for me. It basically wakes up everything good in the brain and body that promote life, well-being, happiness, reverses aging…shall I go on? Only a song of the soul…. I think it is Chris Williamson or Meg Christian, not sure…. Dance definitely switches on an important part of the brain. It can be joyful. Hi Sara, that’s a Chris Williamson song. It is true dance has many benefits. As a Public Relations Committee member of the American Dance Therapy Association (www.adta.org) I feel an obligation to introduce the readers, and perhaps the writer, to the profession of dance/movement therapy. For over 50 years, dance/movement therapists have pioneered the understanding of how body and mind interact in health and in illness. Though therapeutic dance and dance/movement therapy may overlap in a couple of areas the training and scope of practice differ greatly from a facilitator of therapeutic dance. Dance/movement therapists are trained to use dance for the all the benefits listed above in addition to clinical applications of dance in therapy and mind/body/emotion integration. I have been receiving, and enjoying, your online posts for a long time now and appreciate all that you offer our community. I am especially excited today to see this most recent post. As a dance/movement therapist, and president of the American Dance Therapy Association, I couldn’t agree with you more! Dance certainly does strengthen our brains … but it does so much more! Our profession has been devoted to this very issue since we first began back in the early 1960’s. In fact, we are celebrating our 50th anniversary as a national association in 2016. I would love to have the opportunity to speak with you more about the work we do as dance/movement therapists, not only with individuals surviving cognitive and neurological conditions, but children living with autism, adolescents struggling with depression and self injurious behaviors, adults living with mental illness or young women recovering from eating disorders. Our work, as a body based approach, has the potential for helping individuals and groups heal from a wide range of conditions while remaining dedicated to the relationship between the body/mind/heart. Dance for me is about connecting … connecting to self, others, and the world around us. Dance/Movement Therapy provides an opportunity for this level of connection to occur. Please let me know if you would like to chat further about dance/movement therapy. It would be my pleasure and privilege to connect with you. Being a Brain Gym Consultant for 15 years has helped me to realize and recognize the value of movement for optimal body/brain communication. The playful Brain Gym movements can be danced and played with in many ways. It’s important to keep our bodies movin’…and groovin’, especially as we age! There’s nothing like putting on some 60’s songs and dancin’ to relieve stress and have some nostalgic FUN! Rock it Boomers! My developer is trinyg to convince me to move to .net from PHP.I have always disliked the idea because of the costs.But he’s tryiong none the less. I’ve been using Movable-type on numerous websites for about a year and am worried aboutswitching to another platform. I have heard excellent thingsabout blogengine.net. Is there a way I can transfer all my wordpress posts into it?Any help would be really appreciated! I totally resonate with the idea that dance and music can be therapeutic. I know someone who does Contact Dance and finds it helpful and beautiful in the many ways reported above. Dance/movement therapy specifically allows clients to expand their movement repertoire allowing for better coping and more options creating new neural pathway (flexibilty). Through connecting the mind, body and spirit and moving together with another person one can learn about how to negotiate relationships and intimacy (breaks isolation). The kinesthetic therapeutic relationship grows interconnectedness in the self and in relationship to others. Play and improvisation, inherent in dance/movement therapy, can allow clients to access the joyful parts of themselves and see areas which are strengths and discover new ways of operating for themselves and in the larger world (creativity and joy). Dance/movement therapists can be powerful healers! I’ve just finished doing the six weeks Mindfulness course with Tara Brach and have been thinking a lot about ‘attention’. I use a mix of Mindfulness, EFT and muscle relaxation for calming trauma and the more it is practiced, the greater the ability to focus attention and the better the results. Perhaps what everyone here is talking about is actually learning to focus our attention – onto muscle areas, onto music, onto movement, onto Presence, etc. – which opens the door for ‘integration’, an increasing sense of empowerment and eventually resilience. Can you tell us exactly what course you took with Tara brach please? Dancing in the mirror is particularly effective for focusing on mindfulness of the body… With tap shoes and a tutu I’ll mix another toddy! There are many reasons dance, and more specifically, dance movement therapy, a discipline which has been pioneering the mind-body connection and somatic psychotherapies, is effective for working with any neurological or brain disorder, and for trauma, which has been my focus for 18 years. When we work with movement, we are working with the neurological underpinnings of human behavior. The current research on neuroplasticity demonstrates quite clearly that meditation, and mindfulness practices, AND physical activity, “grows” the brain. Dance movement therapy combines the practice of deep listening, cultivation of awareness and our interoceptive capacities with movement (a primary language for all humans) and dance (the creative expression of movement). It allows for awareness, change, and processing to occur along the full continuum of human experience, from sensation, to meaning-making and even more transpersonal experiences. That dance is at once rhythmic, creative, movement-based, and expressive contributes to its potency as a practice and activity that can organize, still/quiet, energize; and also increase coherence in the brain, nervous system, physical body, movement and behavior. As a Hospice Chaplain and Priest, I have used music to calm and connect children, parents, the elderly, and staff to support all the wellness things that you claim for dance. I sing simple songs, Taize Chants or hymns or old gospel songs, and energy shifts, sometimes tears flow, or simply deeper breathing results. I’ve sung to patients when they were actively dying, or in the ER waiting for the trauma team, or in more formal settings like during a service. Music also seems to connect both sides of the brain. It certainly gets more oxygen into the whole body. If you can get simple movements going with the music, like tapping a foot, clapping, swaying, acting out the words, then the energy really changes. I’d love to know more about what’s going on with the brain during singing, or when music is introduced. I appreciate an unlevielabbe post, would examine your personal others reviews. i appreciate your thinking for this, I soon became somewhat struck by this article. Merit again! You commit a good moment. Displays the beauty through fantastic report here. I think if a greater number thought about it like this, they’d have a better moment in time get the hang ofing the situation. By the time I retired from a 40 year teaching carreer I realized that movement was the most important part of the elementary curriculum. I have hundreds of stories about how dance benefited children. The first year I included dance in the curriculum I was teaching 2nd garden Appalachia. Little Becky came from a poor family whose shanty home had dirt floors. She had never seen her face in a mirror and had been retained in kindergarten. Learning academics was difficult and she was afraid of things. Her previous teachers told me she cried when taken into the auditorium. Yet, for me she willingly went in and practiced for our mini production of The Nutcracker everyday. The performance wowed the community and there wasn’t a dry eye when Becky took the stage with confidence and poise along with the rest of the class. I was so moved by your post, Karin. As a dance/movement therapist who used to teach teachers to use Creative Movement as an aid to learning, I heard so many stories of children otherwise floundering for whom dance helped them become classroom leaders. YES, Even a little, awkward “dancing” around the living room is a surprising release and help..
As an Alexander Teacher for over 35 years, and a person who loves and does dance of many kinds, I know the value of bringing the mind/body into awareness and harmony. A great memory from long ago was when I was just learning International Folk dance and studying the Alexander Technique. Watching from my observer mind how my feet were being educated and all that it included from brain to foot was so exciting and frustrating at first. I was learning a new vocabulary for my feet as I learned the intricate foot work. I knew then how important this kind of learning was for my brain. I love to do an assortment of dance in my life, and give workshops that include both structured and non-structured movement, creativity, well being, joy, challenge all of these stimulate the whole being. You missed an important aspect of Dance and that is “Music” . Music inspires dance and music itself is hugely rewarding to the brain as well as healing as in Music Therapy. I fully agree with you, music is powerful. So glad you added music. Every bit as important as the movement. Good – I should defntiiely pronounce, impressed with your site. I had no trouble navigating through all tabs and related info ended up being truly easy to do to access. I recently found what I hoped for before you know it in the least. Reasonably unusual. Is likely to appreciate it for those who add forums or anything, web site theme . a tones way for your customer to communicate. Nice task. When studying, in order to break up the monotony and enhance memory of the subject being studied , I often used dance to repeat rite information ! ..It was an effective break .I can see dance moves being useful in classroom learning . Thank you Dr .Buczynski for offering and sharing the psychological insights and thoughtful arrangement of webinbars . We dance holding hands in a circle, like traditional folk dances but with an emphasis on well-being and cooperation. There are even dances for each of the Bach Flower Remedies with key movements corresponding to the key word/effects of the remedies, i.e. courage, confidence, centering, peace, clarity, presence, etc…these dances can be done with all ages and ability. we also do dances sitting on chairs for people with reduced mobility! I think one of the major benefits to my young traumatized tap-dancing client, included that it somehow re-organized her fragmented sense of self, in a sensori-motor way – it seemed to give her another way of looking at herself. Not so much outside her trauma-story (because she was still very immersed in that). But more perhaps by planting new ‘seeds’ in her consciousness about her being more than the trauma she’d lived through. That sensorimotor re-organization, of course, was also a good beginning of developing new neuronal pathways, with new mental and emotional patterns too – like building a new foundation for a new sense of self, which began to position the traumatic experiences in a different light. It was more powerful, in some ways, than talk therapy could have been (my work with her was, on the whole, play-based rather than talk-based). Dr David Berceli’s ‘Trauma Releasing Exercises’ are another way to release trauma. “practical strategies for connecting the body and brain in order to strengthen resilience, speed healing, and increase happiness”.